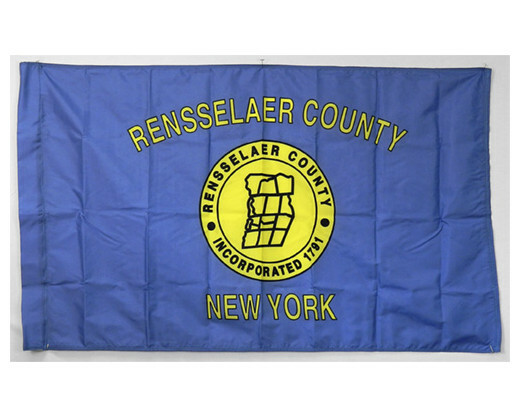 The official county flag for Rensselaer County in upstate New York. Choose from grommets or a sleeve for mounting. 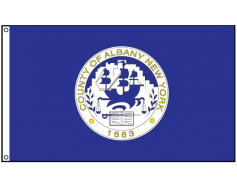 The flag of Rensselaer County is a light blue flag with a gold and black design. 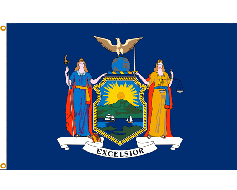 Arched across the top is the name of the county; Rensselaer County, and at the bottom is the state; New York. 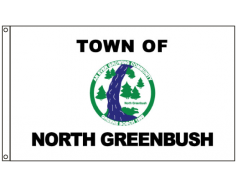 Centered on the flag is the map of the county.